mad orange fools: It's 'Roid Week! That would be Polaroid Week over at Flickr. 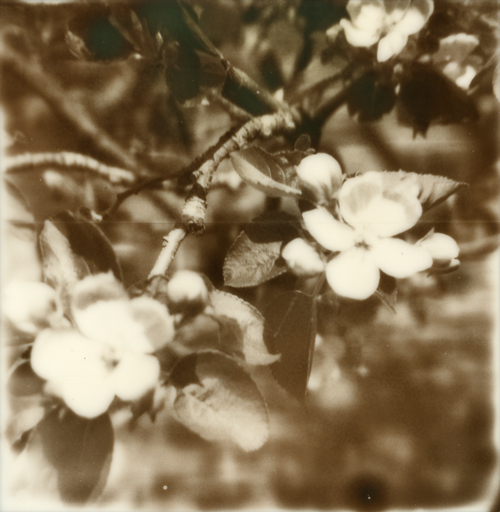 Apple blossoms on PX 600 film. It's a bit out of focus, but I like it. And as you can really see in this shot, a line runs across the center of the film. I wonder if the next pack will have it as well. It doesn't really bother me. 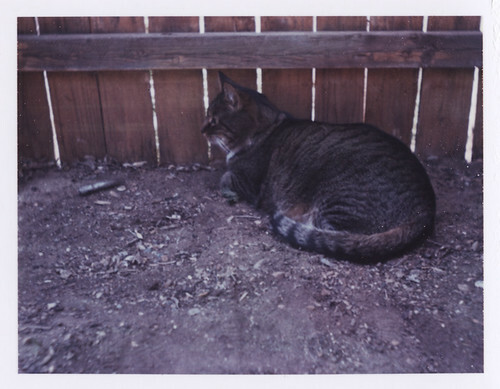 Instant film is quirky like that. And Simon on ID-UV. Very expired ID-UV although it's not noticeable at all. I've seen a lot of expired ID-UV with very blue tones so that's kind of what I was hoping for here. But no, very brown and real looking. Handsome Simon. I usually do daily faves during Polaroid Week, and let me tell you, I've already faved a ton of photos in the pool, but I have so much to do, I don't know if I can take the time to post so many photos each day. We shall see. Now go out and shoot some instant film!